The link between lipodystrophy and extreme overweight. Many lipedema patients face high levels of prejudice: they don’t eat a healthy diet, do too little sport and let themselves go. These stereotypes do not apply in the majority of cases because lipedema is chronic lipodystrophy for which patients are not at fault. However, lipedema and obesity can reinforce each other. More than 50 per cent of lipedema patients in Germany are obese1. By obesity we understand extreme, unhealthy overweight, which is often measured using the Body Mass Index (BMI). The latter is calculated by dividing body weight in kilograms by the square of body height. Obese according to the World Health Organisation is anybody who has a BMI of more than 30kg/m2. As the BMI, however, does not provide any information as to whether body mass consists of fat or muscles, critical voices have been raised disputing its value. This is why also other factors, such as eg stomach circumference or the ratio between waist and hip (the so-called waist-to-hip ratio, WHO) are referred to for an obesity diagnosis. Obesity can have different grave secondary disorders, such as eg high blood pressure, a fatty liver or diabetes mellitus. Also slipped discs can be the result of excessive strain on the body. Blood pressure – one of the possible consequences of obesity. 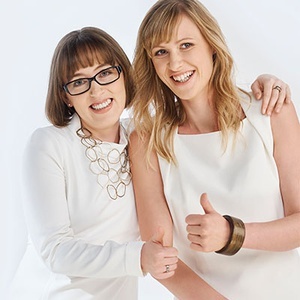 Many patients who suffer from lipodystrophy are frustrated following attempts at dieting and come to believe it is not possible anyway not to gain weight. This is the beginning of a vicious circle: Many lose the will to persevere and no longer pay attention to their weight and to maintaining a healthy diet. They become overweight. The additional adipose tissue resulting from being overweight puts a strain on the whole body and in the end also on the lymphatic system. This is why obesity is in most cases also the cause of secondary lipedema, leading to the combination of the two conditions known as lipo-lymphoedema. Especially in the early stages it is difficult to separate lipedema and obesity from each other. In the case of pure lipedema the proportions between upper body and legs or hips differ enormously and an increase in fat can be seen in particular on legs, hips and buttocks. In the majority of cases the upper body usually stays slim. With obese patients, on the other hand, overweight affects the entire body. Lipedema is hereditary, ie also other female family members are frequently affected. The essential distinctive feature, however, are the symptoms: lipedema patients bruise very easily and feel pressure pains, while overweight patients without lipedema are mostly free from such symptoms. With lipedema one sees an increase in fat especially on legs, hips and buttocks. 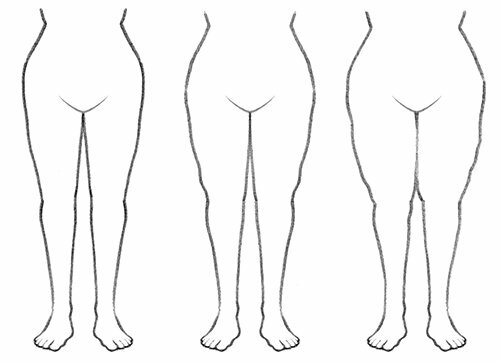 Lipedema occurs in four different stages. There is one thing lipedema and obesity have in common: in both cases we are dealing with a chronic disease. Those who suffer from either disease need help and the right therapy. In self-help groups those affected cannot only establish valuable contacts but also provide mutual support and motivate each other. Lipedema self-help groups often also make contact with lipedema patients. In order to treat the underlying causes of lipedema only liposuction can help, whereby the diseased fat cells are removed. However, this should only be done on patients who have a normal weight. Therefore reducing overweight caused by obesity has priority. 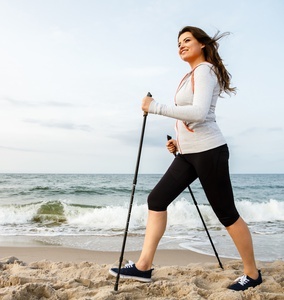 A change in diet, sufficient sports activity and a healthy lifestyle cannot only reduce lipedema symptoms but also help to reduce or normalize weight. As a conservative therapy Complex Physical Decongestive Therapy is usually used to arrest the edema and reduce symptoms. It consists of manual lymphatic drainage, compression therapy, movement exercises and self management. A change in diet can help reduce lipedema symptoms and help gain a normal weight. Faerber G. Ernährungstherapie bei Lipödem und Adipositas – Ergebnisse eines leitliniengerechten Therapiekonzepts. Vasomed 4/2017, S. 176-177.